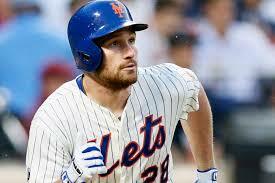 When the Mets offense was going well the first couple weeks Daniel Murphy was the lone Met not hitting. Murph hit .198 with a .258 OBP in April. 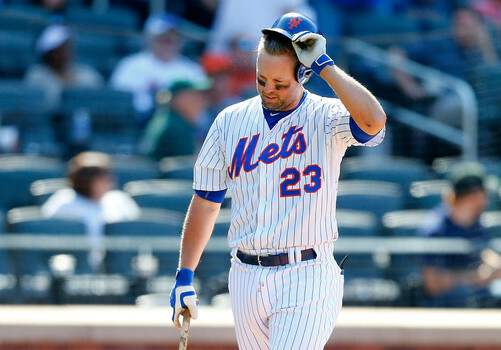 May has been an entirely different story for both Murphy and the Mets. Murphy has gotten red hot and is hitting .329 with a .376 OBP in May but has been the only Met player to hit this month. Murphy leads the Mets in RBI with 24. Remember Murphy was battling a hamstring injury all March and never really had a Spring Training. It is no secret if you read this blog that Danny Murphy will not be a Met for much longer. The Mets believe they have his heir apparent currently on the DL in Dilson Herrera. While Murphy in 2015 is clearly the better hitter, the Mets would save $7.5 million by letting go of Murph and would improve defensively. The question is not if but when Murphy will be elsewhere. 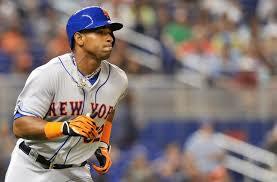 The Mets will move Murphy at the trade deadline if they are out of the race. If they are near a playoff spot they can’t justify to the fan base moving one of their better hitters in a pennant race so they will just let him depart in free agency this winter. Murphy has been a loyal player for the Mets now for eight seasons. A natural third basemen, Murphy has moved from left field, then first base, to second base, back to third and then back to second. The point is despite his defensive shortcomings, Murphy has never been afraid to move to an unfamiliar position if the Mets felt it was in the clubs best interest. That is not something that can be said for a lot of players who have established themselves offensively. Murphy is one of those rare players that wants to win as bad as David Wright does. The two of them are the “gym rats” on the team so it is really a shame that Murphy’s only winning season to date came in 2008, his rookie season when the ball club failed to make the postseason by a single game. Murphy’s future is entirely based on the Mets other hitters. If the club continues to not put up a competitive offense, then Murphy will be traded to a contender near the deadline. 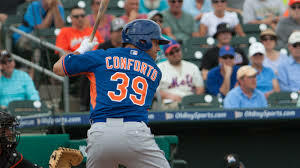 If Met hitters like Curtis Granderson and Michael Cuddyer can get it going, then the Mets will be contenders and they will need Murphy’s bat here. In that scenario Murphy and Met fans will get the pennant push that they desperately crave. 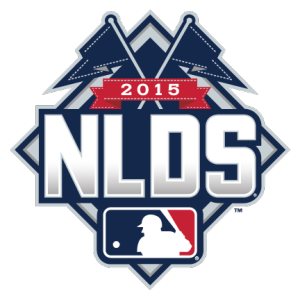 The Mets being contenders in 2015 has become as simple as this, if they can score runs they will win games. The Mets have the third best record in baseball when scoring 4 runs or more.